We love Monarch butterflies and every year for the past 6 years (minus Ava’s year) we have raised a few from eggs that were laid on the milkweed in our garden. 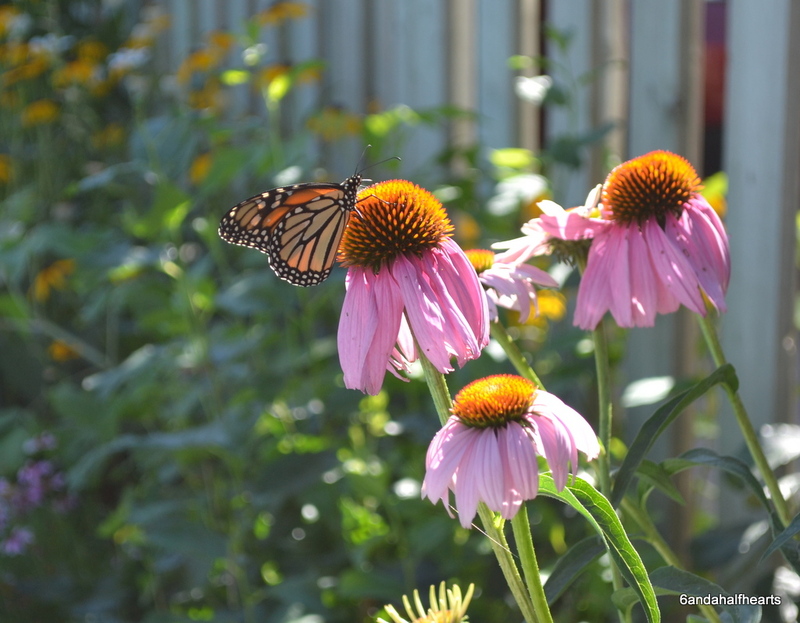 We were sad to learn that this year the Monarch population is the lowest it’s been in ages due to de-forestation in Mexico and a lack of milkweed in the US and Canada, so weren’t expecting to see any butterflies this year, but we were wrong! 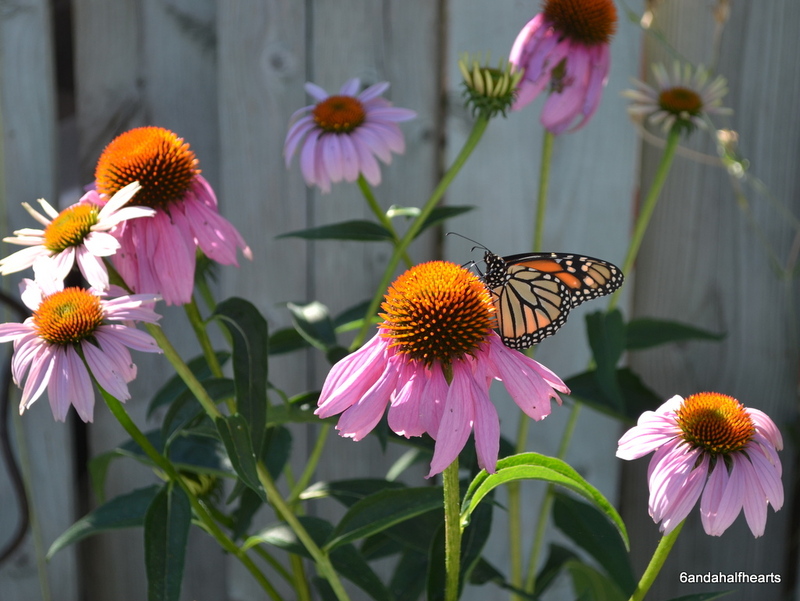 Yesterday I caught this one drinking nectar from my pink coneflowers…..
And it would seem that there have been more butterflies around here than just that one, and they have been quite busy – because in the past week we’ve found Monarch eggs galore! We are now fostering 10 baby caterpillars! Out of every 100 eggs a monarch lays, typically only one survives to become an adult butterfly, so we are happily defying the odds here. 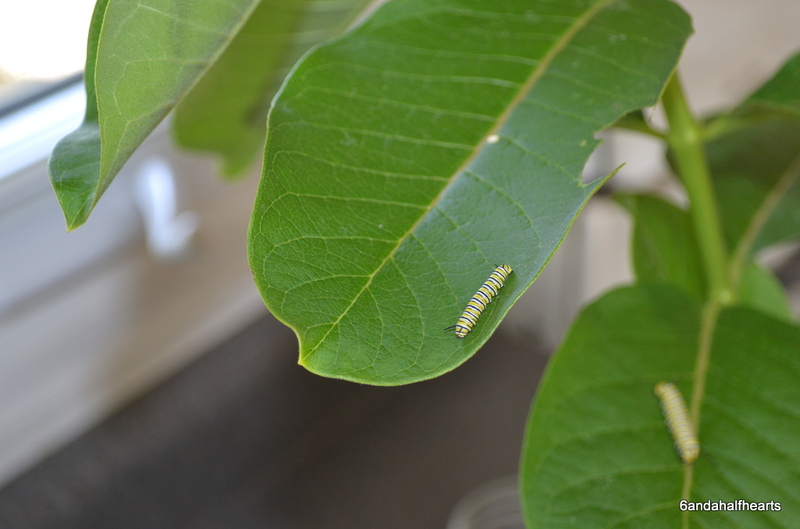 I found 3 more eggs today, so it’s time to share the love and spread some caterpillars around to our friends. Seeing the butterflies eventually emerge from their chrysalis is one of the most amazing things I’ve ever seen and it never gets old. My friend’s sweet baby who has a penchant for playing in dirt. 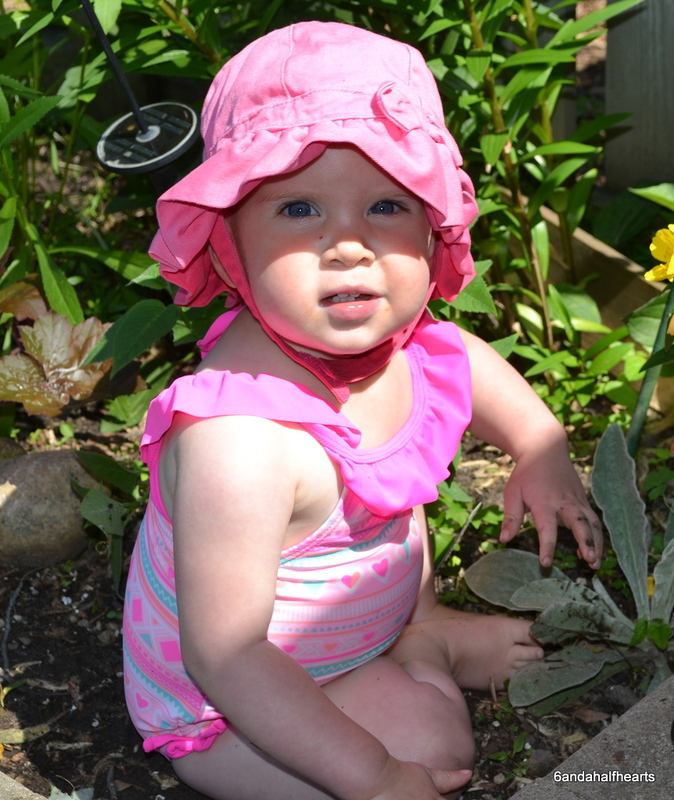 Can you think of a nicer thing to have growing in your garden?